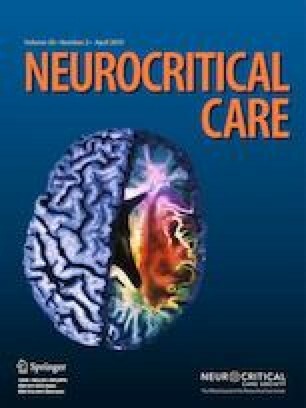 Non-convulsive seizures (NCS) are a common occurrence in the neurologic intensive care unit (Neuro-ICU) and are associated with worse outcomes. Continuous electroencephalogram (cEEG) monitoring is necessary for the detection of NCS; however, delays in interpretation are a barrier to early treatment. Quantitative EEG (qEEG) calculates a time-compressed simplified visual display from raw EEG data. This study aims to evaluate the performance of Neuro-ICU nurses utilizing bedside, real-time qEEG interpretation for detecting recurrent NCS. This is a prospective, single-institution study of patients admitted to the Duke Neuro-ICU between 2016 and 2018 who had NCS identified on traditional cEEG review. The accuracy of recurrent seizure detection on hourly qEEG review by bedside Neuro-ICU nurses was compared to the gold standard of cEEG interpretation by two board-certified neurophysiologists. The nurses first received brief qEEG training, individualized for their specific patient. The bedside qEEG display consisted of rhythmicity spectrogram (left and right hemispheres) and amplitude-integrated EEG (left and right hemispheres) in 1-h epochs. Twenty patients were included and 174 1-h qEEG blocks were analyzed. Forty-seven blocks contained seizures (27%). The sensitivity was 85.1% (95% CI 71.1–93.1%), and the specificity was 89.8% (82.8–94.2%) for the detection of seizures for each 1-h block when compared to interpretation of conventional cEEG by two neurophysiologists. The false positive rate was 0.1/h. Hemispheric seizures (> 4 unilateral EEG electrodes) were more likely to be correctly identified by nurses on qEEG than focal seizures (≤ 4 unilateral electrodes) (p = 0.03). After tailored training sessions, Neuro-ICU nurses demonstrated a good sensitivity for the interpretation of bedside real-time qEEG for the detection of recurrent NCS with a low false positive rate. qEEG is a promising tool that may be used by non-neurophysiologists and may lead to earlier detection of NCS. The online version of this article ( https://doi.org/10.1007/s12028-019-00673-z) contains supplementary material, which is available to authorized users. The authors would like to acknowledge the Donald B. Sanders Neurology Fellows Research Grant for research funding support, Kristina Balderson for data acquisition assistance, and Michael W. Lutz, Ph.D. for statistical support. JHK: involved in acquisition of data, analysis and interpretation of data, drafting of manuscript, and final approval of version to be published. GCS: performed conception and design, acquisition of data, revision of manuscript critically for important intellectual content, and final approval of the manuscript to be published. CBS: carried out conception and design, acquisition of data, analysis of data, revision of manuscript critically for important intellectual content, and final approval of the version to be published. SRS: took part in conception and design, analysis of data, revision of manuscript critically for important intellectual content, and final approval of the version to be published. This study was funded by the Donald B. Sanders Neurology Fellows Research Grant (Internal grant within Duke University). Jennifer H. Kang, MD, and G. Clay Sherill have none to declare. Christa B. Swisher, MD has received speaker’s honorarium from UCB and Eisai. Saurabh R. Sinha, MD, Ph.D. reports grants and personal fees from UCB Pharmaceuticals, grants from Eisai Inc., personal fees from Cadwell Inc., personal fees from Monteris Inc., grants from Neuropace Inc., grants from Marinus Pharmaceuticals, personal fees from Springer Publishing, other from American Clinical Neurophysiology Society, other from American Board of Clinical Neurophysiology, and other from ABRET Neurodiagnostic Credentialing and Accreditation, outside the submitted work. None are related to this work. This study was approved by the Duke Institutional Review Board prior to the initiation of participant enrollment.